On my way out to the beach, I breeze past my laptop sitting on the table. I’ve ignored it so often during this vacation that it doesn’t even call to me anymore. I brought my computer along to Belize just in case I might be seized by the urge to write. It soon became apparent that indulging in the pleasures of Central America was a much better choice. Soaking up the warmth of the tropics after the brutal winter we’ve endured, reveling in the beauty of beach and jungle, exploring Mayan ruins – it felt like a no-brainer. What kind of workaholic was I anyway, to think I’d be spending time writing while away on vacation? I dedicate myself to thoroughly enjoying this last day on the beach. 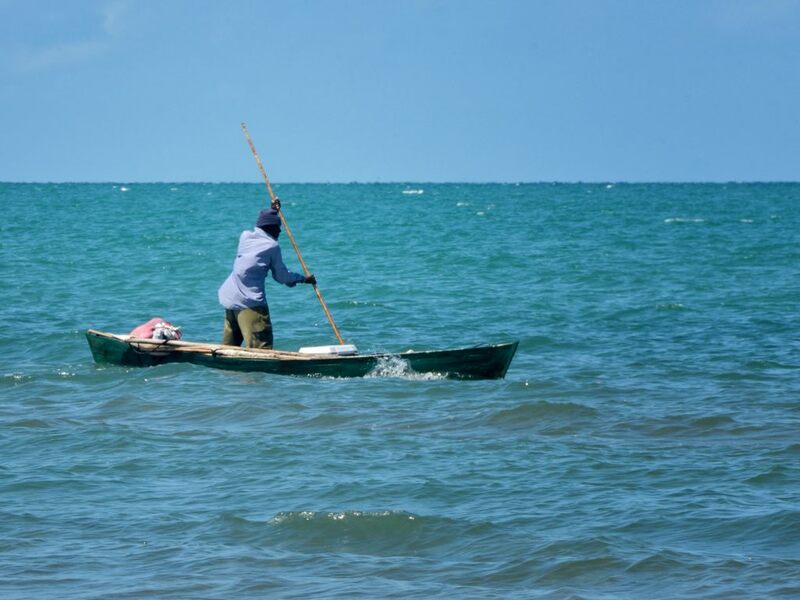 I watch a lone fisherman pole his boat slowly across the water before me. I savor the last of the papaya we bought at a roadside stand, its fabulous coral-orange-pink color and delicate sweet flavor the essence of the tropics for me. I luxuriate in the delight of simply doing nothing. No trace of guilt. No sign of remorse. No anxiety whatsoever. I return from vacation energized, enthused about new blogs to write, new workshops to design, new Inner Wisdom Circles to get started. And then, I do nothing. For the first week this feels all right. After all, it takes a while to readjust after any vacation. But it’s been two weeks now since I returned from Belize. I’m becoming more and more concerned about my failure to accomplish anything. I’m feeling more and more distressed by the sense of suspended animation that I seem to have slipped into and can’t seem to escape. Will I never get moving again? As I gaze at the daffodils growing outside my office window, I realize it’s time to check in with my Inner Wisdom for help and guidance. My Guides invite me to consider the daffodils I was admiring just moments ago. They remind me that for nine months of the year those daffodils remain invisible under the ground. During that time they are storing the energy they have gathered, waiting patiently for the next exuberant above-the-ground manifestation that will certainly come when it is time. Then, when they are ready, they burst forth in their flamboyant and magnificent way. This is their cycle. I would never dishonor the cycle of daffodils. My Guides encourage me to come into greater comfort and better relationship with those below-the-ground times in myself. Things remain quiet on the outside. Just because nothing is visible, though, doesn’t mean that nothing is happening. What’s happening is taking place deep within. As I begin to grasp this perspective, I feel the tension and self-blame drain away. What a relief! My Guides point out how our culture knows only to value production, activity and results. Our society remains critical of that interior introspective time. It doesn’t know what to make of silence and waiting, of not doing. My Guides suggest that it doesn’t have to be this way. Joyfully, I feel myself growing into the spaciousness of this expanded perspective. 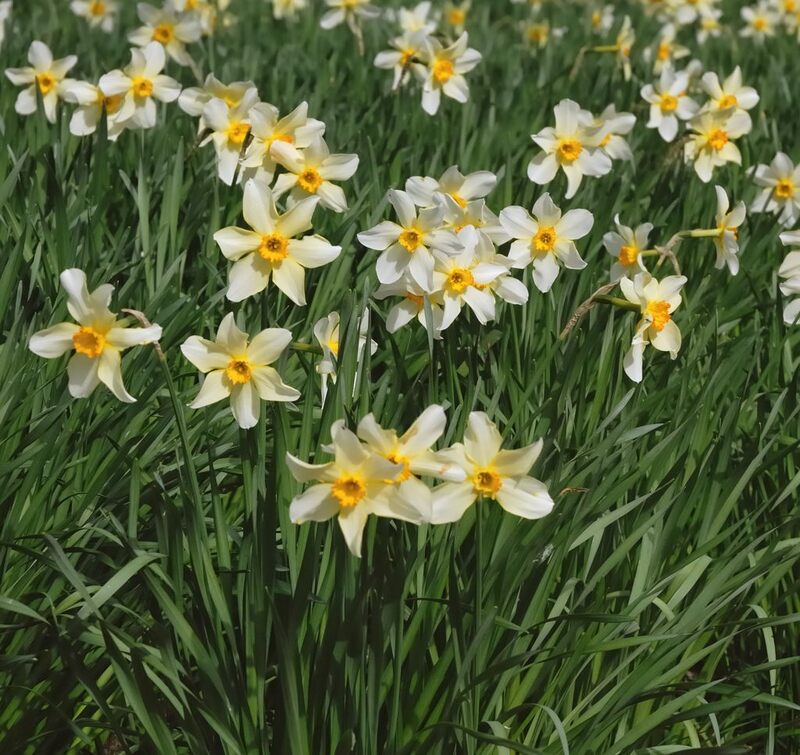 My Guides suggest I create only when inspired by enthusiasm for my task, just as the daffodils burst into glorious blossom only when propelled by the life force within them. They remind me that when I am excited about writing a blog or designing a workshop, nothing gives me greater joy. I get myself in trouble, though, when there’s something I think I should be doing, but I don’t find the energy or motivation to act. Then the discrepancy between what I think should be and what is creates distress. Tears stream down my face as I fill with gratitude for the truth they are sharing. Though the message is familiar, I recognize a whole new dimension opening up, as my Guides apply it to this challenge I am facing. I feel flooded with light as I recognize the truth of what they say. The key is trusting that productive activity will emerge when the time is right, just as those daffodils will certainly bloom again, but only at the right moment. I feel the light and hope grow within. 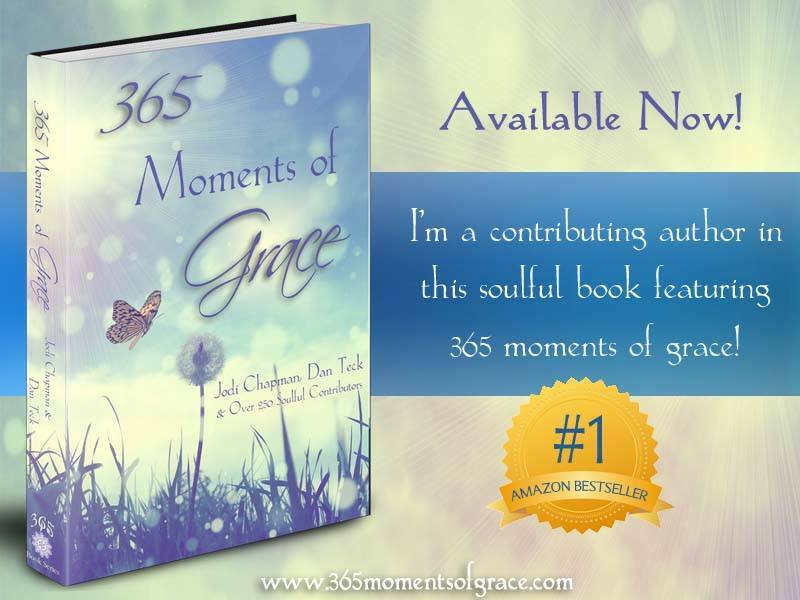 I return from this journey filled with gratitude for the Gifts of Inner Wisdom I’ve received. I hear my laptop, calling me from the kitchen. The spell is broken. The lethargy is gone. Now I’m excited to sit down and write. I delight in the click of the keys as my fingers race to share this beautiful message with you. Whenever you find yourself uninspired, please be kind to yourself. Know that those below-the-ground times are part of the natural cycle of creativity. Wait patiently, trusting that the urge to blossom will return in its time. When it does, your creativity will burst forth joyfully, as glorious as the daffodils.